People ask us all the time what we eat when we're not enjoying Tuscan Lemon Cakes and Betty's Bacon Cheeseburger Hash... well, we go back to our roots. After you post something like S'more Pocket Pies, it only seems right that the next post should feature one of those healthy one pot wonders we all love. Just an easy, fast, guilt-free and delicious dish that you can have warm or chilled for lunch or dinner. These are the classic dishes that vegans have been eating since the days before tofu could be found at your local grocery store and maybe that's why we take them for granted. 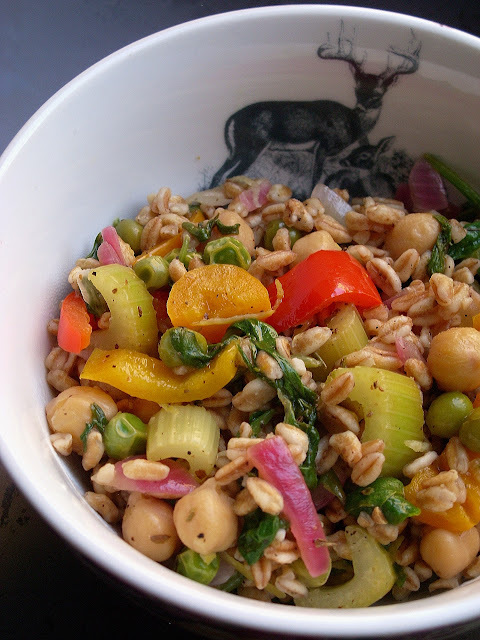 This dish in particular has one of my favorite grains in it : Farro. 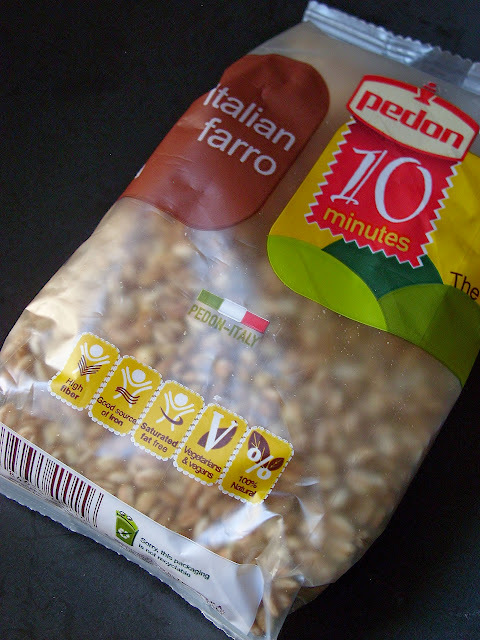 Now in Italy, the term Farro is used to describe a few different grains like spelt and emmer and has been around forever or at least since the first food writer started talking about what they had for dinner last night. So it's a little hard to say really if what we are eating today is the same "farro" that was feed to The Roman Legion and talked up in The Bible but it is undeniable this grain is probably one of the most nutritious things you can eat. Supposedly farro has twice the fiber and protein than more common wheat and is a great source of iron and antioxidants. Yeah, it's pretty much the elusive rock star of grains and here's a recipe that will give you an excuse to eat lots and lots of it. In your dream-date Dutch Oven or a large stock pot, toss with a wooden spoon the Peppers, Onion, Celery, Olive Oil and Lemon Juice and heat at medium heat. You'll want to cover and let cook for about 3 minutes or until the vegetables are tender but still crisp. Occasionally stir the vegetables so they cook evenly. 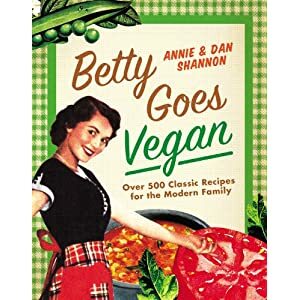 Once the vegetables are cooked, stir in Vegetable Broth, Braggs, White Wine, Oregano, Cumin, Thyme, Farro, Spinach, Peas, Beans, Lemon Peel and Pepper. Stir to make sure everything is blended and then cover. Cook for 10 to 15 minutes, stirring occasionally. Once your Farro is tender, remove from heat and then taste to see if you prefer more Salt. You can serve it hot right out of the pot or put it in the fridge to chill and then enjoy it later... it's kinda up to you. You're the boss and this amazing spicy and bright flavored dish is your reward! WIN! OMG! I LOVE THAT BOWL!!! The farro dish looks delicious too. But I NEED a bowl like that! I love this bowl so much! I made this last night, and I had a few problems. The biggest one was that the farro was in no way edible after 15 minutes of cooking over medium. After 25 minutes I started googling to see how long farro is supposed to cook (I bought mine from the bulk bins, no instructions). Most places said it should be brought to a boil, and then a simmer for 25 minutes or so. One site even said soak 8 hours and 2 hours cooking. Either way, after about 30 minutes it was edible, but by then the spinach and peas looked dreadfully overcooked. All things considered the dish was tasty and I'll definitely make it again, but I'm boiling the farro, then reducing the temp for 25 min. and not adding the peas & spinach until the last 5 minutes or so. I'm so sorry to hear this. We've been using this brand of farro and the instructions on it for years and never had a problem so I apologize. Do you have any more info on what kind of Farro you used so I can make a change to the recipe?